Adder Technology has launched a Professional Services department. 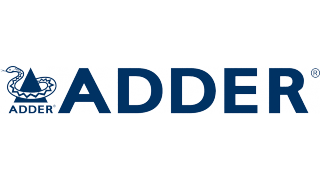 Adder will deliver a suite of services that aim to reduce installation times, increase user adoption, and remove a customer’s potential exposure to risk during the product lifecycle. The Professional Services department offers a range of enhanced product warranties, tailored service level agreements, and user training programs conceived for organizations that operate 24/7/365. The company has developed and added this focused service following a period of growth, including projects demanding very large scale system infrastructure. “Our AdderLink Infinity product line has been widely adopted because it offers a highly resilient, IP-based KVM solution for large scale infrastructures. Customers recognize that systems utilizing standardized IP infrastructure are the best option as they look to mitigate all possible points of failure. These new services deliver an additional layer of confidence made possible by our expertise and long heritage in IP-based, high-performance KVM solutions,” said Adrian Dickens, CEO of Adder Technology. Enhanced warranties, SLAs, and training are available to both existing and new customers.